Autonomous driving describes the largely self-guided movement of vehicles. They are not controlled by a human being, but by microprocessors, which evaluate data from different sensors and cameras. Autonomous vehicles are also known as self-driving cars. At the moment almost all major car companies are working on concepts for self-driving cars. And even tech companies like Google have entered the market. The technology, however, is still afflicted by security problems. Self-driving cars are vulnerable to attacks from hackers and remain at risk of traffic accidents caused by software errors. One theory suggests automated controls in the cockpit of the Boeing 737 MAX are culpable for the crashes. US President Trump says today's aircrafts are simply too complex. Can human-machine relationships be better? Car-sharing is big in Germany, even if its growth there has sometimes been slow. Yet how will the sector evolve, given the dramatic changes the car industry as a whole will experience in the years ahead? Owning a car still means a lot to Germans, especially older people in rural areas. But what if the elderly are no longer able to drive? A village near Berlin is pondering alternatives, as Hardy Graupner reports. BMW and Daimler, the parent company of Mercedes-Benz, join forces to develop automated driving technology. It is the two German automakers' second collaboration in less than a week. This year's Consumer Electronics Show is again striving to live up to its reputation as the world's largest technology fair. Real novelties are few and far between, but there are tons of useful and odd refinements. Self-driving, rolling and walking devices, the Consumer Electronics Show has just kicked off in Las Vegas. The event is one of the most exciting tech events, where several firms will be looking to present trends that could define 2019. The automotive industry is coming under increasing pressure worldwide due to a growing focus on electric mobility, autonomous driving and digital services. Competition from China is also on the rise. 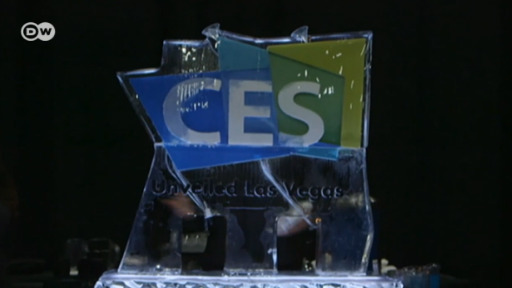 The Consumer Electronics Show in Las Vegas is due to open. One of the most exciting tech events of the world, it features the latest electronic gadgets and devices, from smartphones to autonomous cars. Predicting the future of artificial intelligence is a fool's game. Predicting human intelligence is far easier. The future of urban mobility goes beyond the streets where self-driving cars may revolutionize how people travel. Cities are increasingly looking to the air – flying cars could one day help relieve congestion. Artificial intelligence is set to revolutionise the global economy. And yet in Germany and Europe up until now, it's played a minor role. At the 12th digital summit in Nuremberg, catch-up strategies are being developed. US carmaker General Motors (GM) has announced 14,000 job cuts and the closure of several plants worldwide, including four in the US. President Donald Trump is furious, but he's partly to blame, says DW's Henrik Böhme. Self-driving cars, 360-degree live broadcasts and service technicians equipped with 3D headsets - all that will be possible once data transfer takes place in real-time. And that's pretty much what the new wireless standard 5G offers. Thirty times faster than 4G LTE. Some applications are being tested at the port in Hamburg.